Interim President and CEO Wendy Rheault, PT, PhD, FASAHP, FNAP, who stepped into her new role on Jan. 1, 2019, has served the university in numerous faculty and administrative capacities for nearly 40 years. Named the first provost of the institution in 2014, she spent the next four years working closely with the president, deans and vice presidents in developing academic priorities, providing strategic direction and ensuring academic accountability. A national leader in health professions education reform, Dr. Rheault has worked throughout her career to redefine health care as an interprofessional team-based effort to improve the well-being of people and their communities. She led numerous curricular innovations at RFU aimed at producing professionals trained to practice in highly collaborative, interprofessional teams. Those include an expansion of simulation training, a population health program and community service models tied to learning outcomes and driven by the curriculum. As dean of the College of Health Professions from 2003 to 2014 and associate dean in the 10 years prior, Dr. Rheault oversaw a doubling of RFU’s enrollment with the addition of programs including doctor of physical therapy, physician assistant studies, pathologists’ assistant, nurse anesthesia, health administration, health professions education and interprofessional healthcare studies. She also led the development of the MS in Nurse Anesthesia, MS in Clinical Counseling, MS in Health Professions Education, MS in Women’s Health, MS in Health Promotion, Prevention and Wellness, in addition to a PhD in Interprofessional Healthcare Studies and DSc in Interprofessional Healthcare Studies. She also served as chair of the Physical Therapy program for a decade, leading several successful accreditation visits. She was appointed Vice President of Academic Affairs in 2008 and in that role led the development of RFU’s interprofessional education model and the Alliance of Health Sciences with DePaul University. 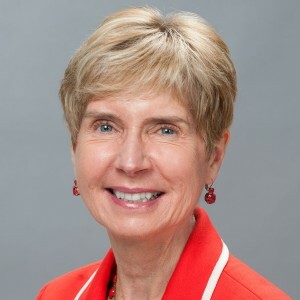 A distinguished fellow of the National Academies of Practice and Association of Schools of Allied Health Professions (ASAHP), she has served as a visiting professor at the Mayo Clinic, on two committees of the National Academy of Medicine, as a member of the board of the Healthcare Foundation of Northern Lake County and past president of the Midwest Deans of the ASAHP. Named in 2018 among Crain’s Chicago Notable Women in Education and Distinguished Alumni of the Year by Queen’s University in Kingston, Ontario, Canada, where she earned a BS in physical therapy, Dr. Rheault is also an alumna of the University of Chicago, which awarded her a master of arts in curriculum and instruction, and a PhD in measurement, evaluation and statistical analysis. Dr. Rheault has published in peer reviewed journals and has presented at national and international meetings. Her area of scholarship is the psychometric analysis of clinical and educational measurement instruments using Rasch Analysis.